Aikatsu Friends! – 002 | Mezashite! Man I love the staff for a day episodes, they always make sure to enforce how important every single aspect of Aikatsu is. There’s just so many great little things in this episode, from old Aikatsu references to expanding the setting to making sure there’s plenty of room for character growth. My waku waku is as high as it was last week. I like the show so far… but the Love Me Tear girls seem a little emotionally detached from anyone but each other so far, unlike Hime in Stars’ first episode. We’ll have to see how that all turns out, but so far the cast seems a bit sparse. Need more classmates and caring senpai and such. Anyone notice how last episode Aine said the Idol Track and General Track were in different buildings, but this episode she says they are in the same one? Yes. What’s the truth? Nobody knows. It’s Shroedinger’s school. I’m so lucky that I saw Ema and Maika for the first time here. Am I imagining things or is Coco’s VA Ichigo? You might also want to listen closely to Karen and Mirai. Just a guess… Hime and Laura? Try again. 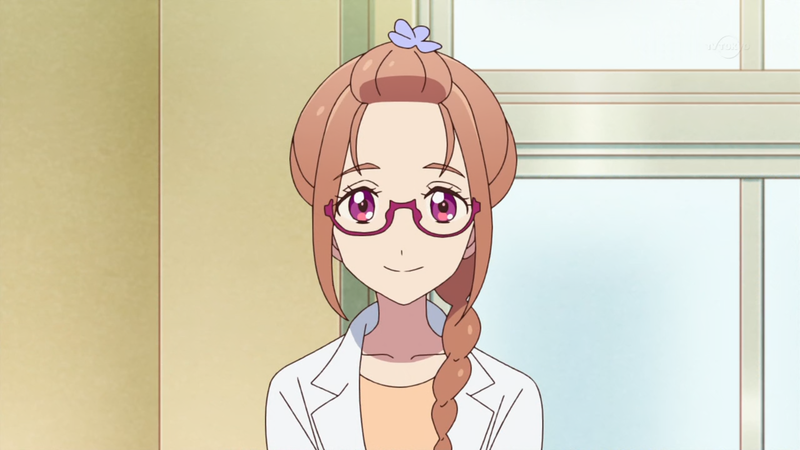 If Coco is Ichigo seiyuu, Karen and Mirai are two well known voices.